The Czech Republic is a sovereign, united and democratic state. Its political system is based on written constitution that was made in 1993 and consists of 8 heads and Declaration of Human rights. Government is divided into three branches – the legislative represented by the Parliament, the executive represented by the president and the government, the judicial represented by courts at various levels. The Parliament consists of two chambers – the Chamber of Deputies (200 Deputies) and the Senate (81 Senators). These 281 people have the exclusive duty of making laws. These two groups of members of Parliament differ in the way in which they are elected and in the length of the terms they serve. The elections to the Chamber of Deputies take place every four years while every two years one third of the Senators is renewed. During the elections every citizen from the age of 18 can exercise the universal, equal, direct and secret right to vote. The Parliament’s main task is to pass laws, ratify international treaties and decide on sending troops abroad. The parliament is a law-making. A new bill first goes to the Chamber of Deputies which debates and ultimately votes on it. The bill that has been passed by the Chamber of Deputies is then submitted to the Senate where the process begins a new. The law (act) must be approved by the government and signed by the head of the Chamber of Deputies, the prime minister, and the president. The president is elected every five years by the direct election but no one can serve more than two terms in offices in a row. The president (currently Miloš Zeman) represents the Czech Republic abroad and concludes foreign treaties. He has also many duties in relation to the other bodies of government: he appoints all judges, a general of the army, ambassadors and other officials. The president is also the commander-in-chief of the army. In the law-making process he can exercise the power of veto that means not signing a bill in 15 days and returning it to the Parliament. In relation to the judicial power he can grant a pardon to a connived person or declare an amnesty. His task is also to call a general election. The leader of the winning party is then appointed the prime minister and on his suggestion the president makes appointments of all the other members of the government. The government is composed of the premier, the vice-premiers, and the ministers. The hierarchy of the executive branch goes further down to the local authorities where the municipality is the smallest unit. The municipal elections take place every four years. The head of the municipal authorities is called a mayor. The several ministries are: Interior, Foreign Affairs, Defence, Justice, Industry, Commerce, Agriculture, Finance, Transport, Labour and Social Affairs, Education, Culture, and Health. The judicial power is divided into a system of courts, staring with the Constitutional Court and the Supreme Court (located in Brno) and going down to the courts at all levels of regional government. They apply the law in individual cases and nullify a law expect for a constitutional one. Judges serve for an unlimited period of time, must have a good reputation, and must be professional layers. In the elections the citizens can choose from a variety of political parties. We can recognise: the left wing, moderate, right wing or extremist. The right wing – the Civic Democratic Party (ODS – Petr Nečas),TOP 09 (Karel Schwarzenberg), the moderate – the Christian Party (KDU-ČSL – Pavel Bělobrádek), the left wing – the Social Democratic Party (ČSSD – Bohuslav Sobotka), extremist party – the Czech-Moravian Communist Party (KSČM – Vojtěch Filip). The United States is a representational federal republic, based on a strong constitution. It means that each state has its own government but the Constitution is valid for all states (sometimes there are very strange laws like: you may not sing in the bath…). The Constitution (since 1790) establishes the basic form of government which is divided into three branches, the Executive (President), Legislative (Congress) and Judicial (Supreme Court). Each branch has power over the others. The Executive is made up of the chief of state (the president) and his cabinet (13 Cabinet Members appointed by the president). Unlike in many other countries, in the US, the chief of state is also head of the government. There is no prime minister. The president is supported by vice president and both run for office on the same ticket, and are chosen by the Electoral College, made up of representatives from each state. This technically means Americans do not directly elect their president. The president and vice president serve four year terms, and are limited to just two terms. Current president is Barrack Obama who represents Democratic Party (he was elected for the second time). The Legislative branch is a bicameral Congress (in the Capitol) made up of the Senate (two senators from each state -> the 100-member Senate, elected for a term of 6 years) and the House of Representatives (435 members, with membership based on state population, elected for a term of 2 years). Both senators and representatives are directly elected by the citizens of the state they represent. The Judicial branch enforces and interprets the laws made by the Legislative and approved by the Executive. This branch consists of many levels of federal courts. The highest of these is the Supreme Court, with nine justices appointed for life. There are two main political parties – the Republicans (thought of as conservative) and the Democrats (liberal). The current administration is Democracy. The United Kingdom is a constitutional monarchy and parliamentary democracy with a monarch, currently Queen Elizabeth II (since 1952), and a parliament with two houses. There is no single document that forms the British constitution. The relationship between the State and the people has developed over time and based on several elements, including statues (= laws made by Parliament). The Queen is the head of the state. It means that she is head of the judiciary (all the judges), head of the Church of England and also Commander-in-Chief of the armed forces. Her face is on all British bank notes, coins and postage stamps. The Queen´s constitutional role is mainly symbolic. True power lies in hands of the Prime Minister and his Cabinet. It is the Queen who formally opens Parliament every autumn. Nothing becomes British law without the monarch´s signature, but the Queen would never refuse to sign a bill which has been passed by Parliament. It is also the Queen who officially appoints the Prime Minister, but traditionally she always asks the leader of the party with majority in the House of Commons. The Queen is head of the Commonwealth (a group of former and present-day British colonies), so she meets and entertains prime ministers of the member states. Britain is administered from the Palace of Westminster in London which is also known as the Houses of Parliament. Parliament is made up of two chambers – the House of Commons and the House of Lords. The House of Commons consists of Members of Parliament, MPs. Each MP is elected by voters (adults) in one region (constituency). There are 651 MPs in the House of Commons (524 for England, 72 for Scotland, 38 for Wales and 17 for Northern Ireland). Every five years, people vote for the candidate they want in their region and the candidate, who wins, becomes the MP in the House of Commons. The party with most MPs forms the government. The leader of the winning party automatically becomes Prime Minister and appoints the Cabinet. The party who comes second is the Opposition and forms its own Shadow Cabinet. It follows that the House of Commons is divided into two parts, each party sits on its side. The Speaker presides over all debates in the House of Common and he is chosen by MPs. He sits on a raised chair at the top end of the table. The House of Commons has more power than the House of Lords because it can pass the law without allowing of the House of Lords but with allowing of the Queen. The House of Lords consists of Lords who are hereditary peers or life peers. It means that the members of the House of Lords aren´t elected. Most of 1203 members are appointed by the Queen from a list of people chosen by the Prime Minister and the leaders of the other political parties. There are people like bishops of the Church of England, aristocrats who have inherited their seats from their fathers, people with titles, or senior judges of the legal system. The Lord Chancellor presides over debates from the Woolsack. The main function of the House of Lords is to make and revise laws and to check the work of the government. The party which wins the most seats in the General Election forms the government. The leader of the winning party becomes Prime Minister, currently it is David Cameron. Prime Minister is powerful and important person because he has the majority support in Parliament and he can choose his own Cabinet (ministers). Each member of the Cabinet is a minister responsible for a government department (Home department, Defence, Education…). The Cabinet meets at the Prime Minister´s house – 10 Downing Street. The Cabinet works as a team and all ministers must accept the decision of the group. The British political system is a two-party system in which power is held by one of two main parties. The main parties are the Conservative Party, which is traditionally right-wing, and the Labour Party, traditionally more left-wing. The third largest party is the Liberal Democrats which is a centre party. Nowadays the Conservative Party has more MPs with their Prime Minister. The European continent went through many battles, wars and revolutions during the last centuries. Millions of people died because of their belief in God or because of the aggressive plans of their kings, emperors or leaders. The idea of a united Europe was only a dream for a long time. It took centuries for this dream to come true, although many famous men spoke about it in the past as a great opportunity for keeping the peace. Even George of Podebrady in the 15th century wanted to unite some states against Turks and Tatars. Winston Churchill, British Prime Minister, was one of the first to call for the creation of a United States of Europe. Following the Second World War, he was convinced that only a united Europe could guarantee peace. He formulated his conclusions drawn from the lessons of history in his famous “Speech to the academic youth” held at the University of Zurich in 1946. Robert Schumann, French foreign minister, presented in 1950 the Schuman Declaration that proposed the creation of a European Coal and Steel Community. Finally, in 1951 six countries (France, Germany, Italy, the Netherlands, Belgium and Luxembourg) signed the Treaty of Paris and created the European Coal and Steel Community. The basic aim of this community was to make war among the members impossible. The next step was the formation of the European Economic Community (EEC) under the Treaty of Rome in 1957. This organization set out a common economic and agricultural policy. In 1967 the EEC joined with two other organizations to become the European Community (EC). In 1973 Denmark, Ireland and finally the UK (Britain began negotiations to join the EEC in 1961 but the application was unsuccessful) joined the Community which by then had a new social, regional and environmental priorities. In 1981 Greece joined, followed by Spain and Portugal in 1986. The European Union as we know it today dates from 1993 with the signing of the Maastricht Treaty. Gradually, more countries joined, and today the EU has 27 members which respect the freedom and identity of all member countries. Austria, Finland and Sweden became members in 1995. On May 1, 2004, ten more countries entered this large European family. They are Cyprus, the Czech Republic, Estonia, Hungary, Latvia, Lithuania, Malta, Poland, Slovakia and Slovenia. In 2007 Romania and Bulgaria became members. There are still candidates that want to join the EU, such as Croatia, Turkey or Macedonia. The EU is a family of democratic European countries working together to improve life for their citizens and to build a better world. In just over a half century it has delivered peace and prosperity to Europe. Among the EU´s major accomplishments are a single market, which guarantees that people and goods can move freely through all EU countries, a common trade and foreign policy, plus representation of all member states at big international organizations like the World Trade Organization and the United Nations. To be allowed to join the EU, a state must meet certain rules, called the Copenhagen criteria, such as having a democratic and stable government, a functioning market economy, and guaranteeing human rights. The idea of the free movement of people relates to the Schengen Agreement. It means that there are no border controls within the Schengen Agreement area, so EU citizens can freely travel from one country to another without a passport. Not all EU members are part of the Schengen Agreement (e.g. the UK and Ireland did not sign it) and not all Schengen States are in the EU (e.g. Switzerland and Norway). Each member state elects its own representatives to the European parliament. Elections take place every five years. There is no permanent president of the EU. The position rotates every half year between countries. Presiding over the EU means that the country represents the national interests and gets influence on the functioning of the country. The Czech Republic presided over the EU in 2009 (Topolánek). The parliament meets in Strasbourg (France) and Brussels (Belgium) – Brussels is home to many other EU institutions as well (the European Council, the European Commission…), so it is something like the EU capital. The European flag: Since 1986 all European institutions have used the same flag as the official emblem of the EU. A circle of twelve stars on a blue background represents solidarity and unity among the people of Europe. The number of stars which remain twelve is symbolic and has nothing to do with the number of member countries. The European anthem: In 1985 Beethoven´s “Ode to Joy” from his “Ninth Symphony” was adopted as the official anthem of the EU. This anthem expresses the ideals of freedom, peace and unity but will never replace the national anthems of individual member countries. The common Euro: The common currency is since 2002 the euro. Euro coins and notes replaced the national currencies and designs for the euro are common for all countries which approved it. The coins have two sides – one European and the other national. Countries which use the Euro (currently there are 17 of them) are said to belong to the Eurozone. The European Commission: This is the boss of the EU with the executive power that proposes the laws to the European Parliament and supports the interests of the EU. There are 27 commissioners, each represents one EU country. The EU Parliament: This is the legislative body consisting of 785 MEPs (Members of the European Parliament), who are elected every 5 years from their home countries. Their task is to pass laws and to check the work of the European Commission. The Council of the EU: Other legislative institution, used to be called the Council of Ministers as its members are always 27 national ministers who change depending on the subject discussed. The European Court of Justice: The judicial branch, which interprets and applies the treaties as well as the laws of the EU. It consists of 27 judges who check all the treaties which are signed. The Court of Auditors: It is composed of 27 members who control finance of the EU, etc. The Czech Republic entered the European Union on 1st May, 2004 and since that time a lot of things have changed. Czech language became also the language of the EU – it means that each document is translated into Czech. Czech laws can´t be contradicted with the EU rules. 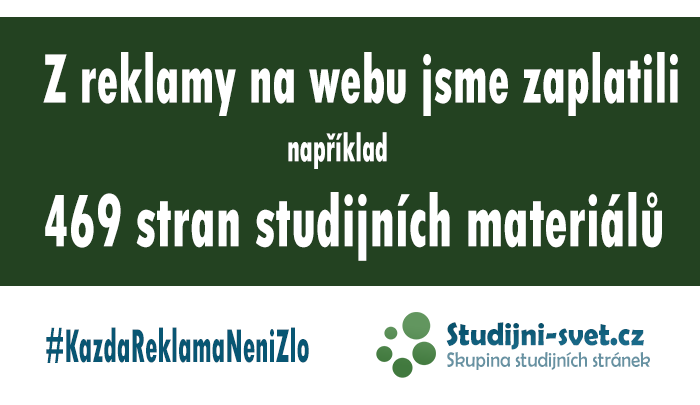 Each citizen in the Czech Republic is also the member of the EU and has the possibility to stay and travel between member countries, to study abroad thanks to the Erasmus program, etc. In 2007 the Czech Republic entered also the Schengen Agreement. In the Czech Republic are two groups – pro-Europeans (Zeman, Schwarzenberg) and Euro-sceptics (Klaus) as same as in Britain where the British parliament is divided into two parts. In Britain pro-Europeans want Britain to be at the heart of Europe and involved at all levels of decision-making. On the other hand, Euro-sceptics are afraid that Britain will lose control of her affairs and be part of a federal Europe (that they will lose their national identity and individuality because in Britain people have still their own passports, bank notes with the Queen, etc. ).